KidsPro is a Kids School & Kinder Garten HTML5 Template with predefined web elements which helps you to build your own site. This template is suitable for Kids School & Kinder Garten website. KidsPro template has a fully responsive layout. It fits perfectly on various displays and resolutions from regular desktop screens to tablets, iPads, iPhones and small mobile devices. This entry was posted in Which Open Source Blog on July 31, 2017 by Administrator. Levi is an awesome personal vCard, CV, Resume & Portfolio template based on Material Design. Levi is the best way to showcase your beautiful CV, resume & portfolio . We built this nice template using HTML5, CSS3, most last version of Bootstrap 4 and SASS. all code are well commented and super easy to customize. we have a dedicated support team which 24/7 days available to support you. Nito Fashion Shop Psd Templates is a uniquely ecommerce website template designed in Photoshop with a modern look. PSD files are well organized and named accordingly so its very easy to customize and update. 24 Psd files included and the design is very easy to work with and modify to suit anything you need. Strix is a new and modern Moodle theme with 4 versions that can be configured with numerous color and marketing options. 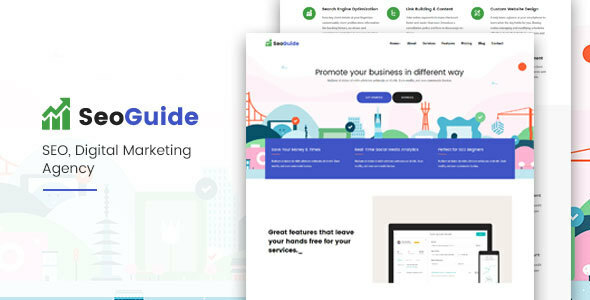 Features mnay frontpage marketing areas, sliders, off-canvas block areas, internal course banners, stock images and more. Plus world-class support! Vince is fully responsive, creative, clean, superb and multipurpose one page and multipage templates with latest web design styles. It has perfect ready to use demos for any type of business like design corporate, agency, modern agency, startup, freelancer, mobile app, landing page, business, coming soon, blog, portfolio, login, etc.It is friendly for designer and developer customization, Speed optimized, well documented, commented, structured, well tested in all browsers & devices and contain easy to understand code. Vince Business Templates included 18 one page 4 Multipage ready to use superb creative template with Blog, portfolio,login,etc . Startup is multipurpose Corporate HTML Template, you can using this template for corporate website, portfolio website, company website, personal website, etc. This template is fully responsive created using bootstrap 3 with many features such as image slider, animated scrolling effect, carousel news, counter effect, testimonial, filltering gallery, Ajax contact form, map with google map, parallax effect, contact us. this template has 6 option theme color but if you familiar with SASS you can easy customize theme color with SASS file. Also you can using This template as onepage or multiple page. Images used in demo are not included in downloadable file. Two different home variation for you.It will help you to use according to your wish. ForBiz is clean and refreshingly designed with rich typography to deliver the best user experience to users. ForBiz is feature-rich HTML5 Bootstrap Education Template, Built-with HTML5, CSS3 and Bootstrap Framework for Responsive Layout. ForBiz is a business / Agency Template clean and Stylish Design. Its a full responsive built with Bootstrap. It looks perfect on all major browsers, tablets and phones. It is suitable for agency ,startup business. This is website design can be used for a Beauty Salon. Material UI is a material design admin template which is most powerful and professional design.You can use this material design admin template for any kinds of websites software admin panel.This material admin dashboard is fully responsive, retina ready, flexible and 100% clean code.This material design dashboard template has 80+ pages and widget ready.It is 100% user friendly, fresh, stylish and unique material design dashboard. This material admin template based on Google Material Design framework which has modern unique designs and layouts.This materialize Admin panel has lot of features and its works perfect on all web browsers, mobiles, tablets and any types of devices. Fixed admin is a bootstrap based responsive admin template. It has super clean user interface, customizable UI components and widgets and 2 layout styles. It is fully responsive and easy to customize admin template. Simple and easy to understand code gives power to any developer to turn this theme into real web application.